y would be an excellent choice. In post Civil War United States carpetbaggers from the North came down to the South and took over land abandoned by those who had gone to fight in the war. 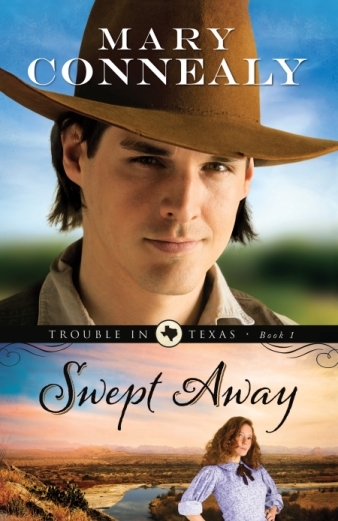 Luke Stone returns to his Texas ranch knowing that his father is dead and someone has taken his ranch. Luke is fortunate enough to have several close friends who fought with him in the war and survived Andersonville. They are skilled shooters along with using their wits to stay alive. They met Luke in Broken Wheel, the nearest town to Luke’s ranch for the express purpose of helping Luke take back his ranch. The best part was the female protagonist, Ruthy MacNeil. She is a tiny, feisty, talented, and smart redhead. Luke rescued Ruthy after her step family’s wagon was swept away in a flash flood. It does not take long for Luke and Ruthy to become close friends. The really cool thing about Ruthy is that she can do anything as well as any of the men. Her step family kept her working constantly and as a result Ruthy can run all day with the best of them. She becomes instrumental in reclaiming Luke’s ranch. Reclaiming the ranch takes a good deal of patience with page-turning excitement as the story progresses. I loved the development of the characters. Connealy does a superb job of presenting a wonderful group of supporting roles drawing pictures of quirky but fascinating people. The criminals are really nasty and despicable. The “good guys” are followers of Jesus and really do live out their lives in a way that is pleasing to God. The women span a broad expanse. There is crazy Lana who is to be pitied and Glynna who initially seemed like a snob who morphed into a strong competent woman and Ruthy the tiny dynamo with a ton of character. I strongly recommend this book. It is the first of the Trouble in Texas series and I cannot wait until volume two is released. I received this book from the publisher in return for a review. All opinions are my own. But the more time Luke spends around the hardworking young woman, the more he finds himself thinking of things besides revenge. Will Ruthy convince him to give up his destructive path and be swept awayby love? Mary Connealy writes fun and lively "romantic comedy with cowboys" for the inspirational market. She is the author of the successful Kincaid Brides, Lassoed in Texas, Montana Marriages, and Sophie's Daughters series, and she has been a finalist for a Rita and Christy Award and a two time winner of the Carol Award. She lives on a ranch in eastern Nebraska with her husband, Ivan, and has four grown daughters.